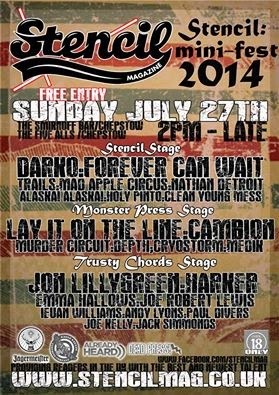 Check out Stencil Mag's one day min fest with a great line up and this is all for free! This takes place on the 27th July in the heart of Chepstow at The Smirnoff Bar that supports some fantastic upcoming talent! Event start time is 2pm up to 11pm!